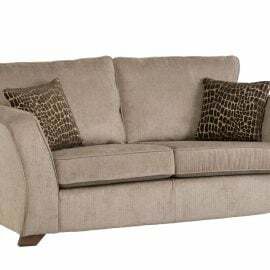 Three Seaters are perfect for homes with larger living rooms that can offer extra seating space and make a statement. Bigmickey.ie has a wide range of three seaters in a variety of materials and styles. Whether it is reading a book or simply watching TV, our collection of three seater sofas has something to suit everyone. From classic to contemporary, Bigmickey.ie has everything to match your preferred style and size to fit your space. 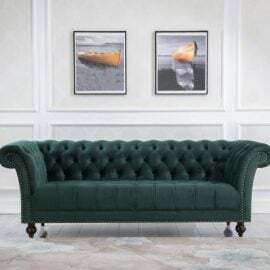 The Alyah 3 Seater Sofa is a glamourous Cheetah Print Velour fabric sofa featuring chrome stud button details with modern curved back in a chesterfield style sofa. A stand out piece in any enviroment. 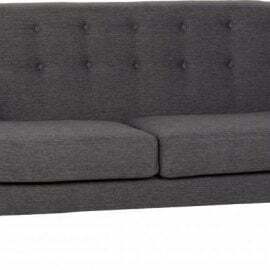 The Ashford Three Seater Sofa is available in Dark Grey fabric. This sleek sofa features button detailing and metal legs, bringing both style and comfort to any living area. 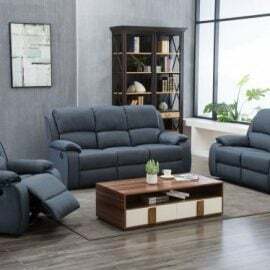 The Ashwin 3 Seater Recliner Sofa is part of the Ashwin collection which are softly curved and fabulously comfortable. Their high backs, softly padded arms and deep cushioning cocoon you luxuriously. Available in grey to suit your décor and take comfort to the next level with the manual recliner feature. 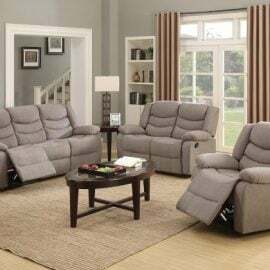 The Becka 3 Seater Recliner is part of the Becka Recliner Range. The sofas and chairs in the Becka collection are softly curved and fabulously comfortable. Their high backs, softly padded arms and deep cushioning cocoon you luxuriously. Available in blue/grey to suit your décor and take comfort to the next level with the manual recliner feature. 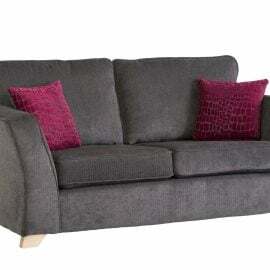 The Bryony Fabric 3 Seater would look great in any living room. 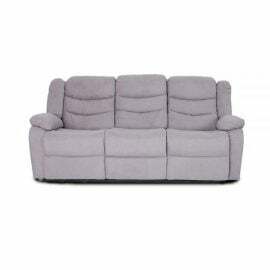 It is finished in a grey fabric with reclining options for maximum comfort. 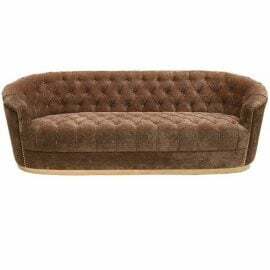 The Bryony Leather 3 Seater would look great in any living room. 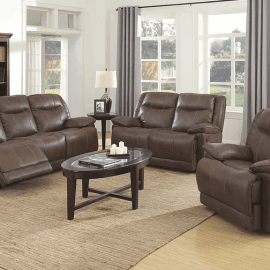 It is finished in a brown leather with contrasting stitching and reclining options for maximum comfort. 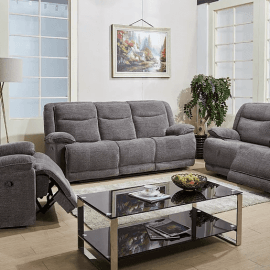 The Canto Three Seater Sofa has a simple, contemporary design with soft foam seating. Manufactured using timbers from sustainable sources, it is beautifully tailored in polyester fabric. All items are completed with complimentary cushions in bold, matching designs. 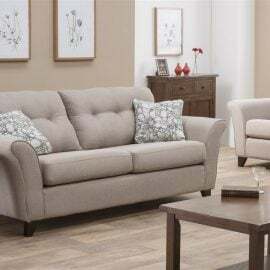 The Cassie Three Seater Sofa is part of the Cassie Living Room Sofa Range. It is a simple, modern sofa designed for maximum comfort and value. 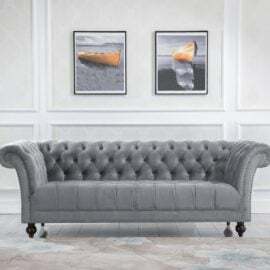 The Chester 3 Seater Sofa features beautiful button detailing in an elegant shape with gentle curves and thick, bouncy cushions. This Chester sofa will complete your room in style. 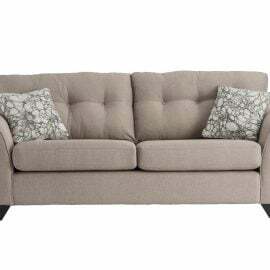 The Chester is also available as a 2 seater sofa.